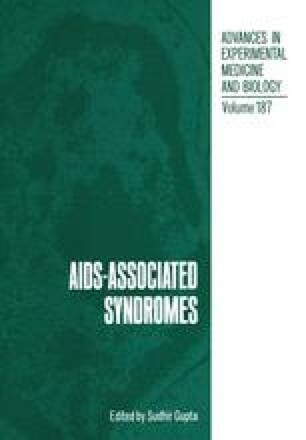 The etiologic agent for the acquired immunodeficiency syndrome (AIDS) has now been identified as being a lymphocytotropic retrovirus, designated as HTLV-III (human T-cell lymphocytotropic virus III) and the LAV/IDAV (lymphadenopathy associated virus/ immunodeficiency associated virus).1–3 It is now clear that the disease can occur in children as well,4–7 characteristically inflicting offspring of women in risk groups and recipients of blood transfusions and blood products. Prior to knowledge of the etiologic agent for AIDS, the Centers for Disease Control (CDC) developed a working definition of AIDS for purposes of national surveillance, which was extended for children as well.4 This definition served a very useful purpose, but its strict inclusionary criteria resulted in exclusion of many cases which, after going through a series of terminologies, subsequently got collectively termed as AIDS-related complex or ARC. Conforming to these definitions has been especially problematic in children who have certain unique features not seen in adults. It is the purpose of this report to discuss characteristic features in a group of pediatric patients from Long Island and Brooklyn in metropolitan New York. We have considered evidence for HTLV III infection as the single requisite for inclusion in the study, and here we discuss the spectrum of clinical and laboratory manifestations that may be associated with HTLV III infection in children.